Children are banned from running and kicking footballs in school yards due the soaring cost of insurance, a Fine Gael TD has said. 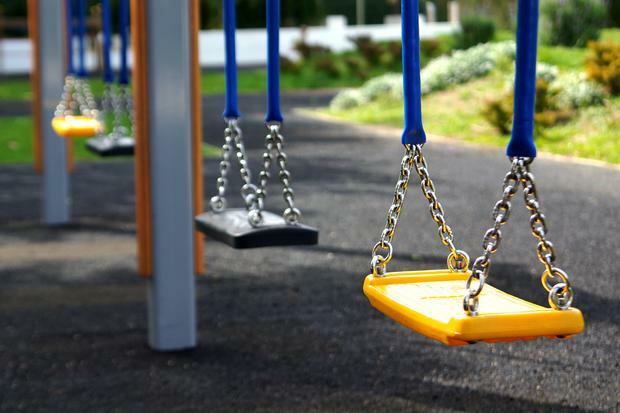 Dublin Fingal TD Alan Farrell said it is “obscene” and “madness” that children are being banned from exercising in some schools due to high insurance premiums. Mr Farrell, who is chair of the Oireachtas Children’s Committee, said rising insurance costs faced by schools need to be urgently addressed to ensure children can exercise. “You can’t stop a child from exercising and I just think it’s wrong,” he added. Mr Farrell also said he wants vending machines filled with chocolate bars and fizzy drinks banned from school as part of the Government’s strategy to tackle childhood obesity. “Vending machines in schools is just wrong unless its healthy eating, water and fruit, but the kids won’t eat that,” he said. Mr Farrell said he hopes his committee recommends this action when it publishes its report on childhood obesity later this year. The Fine Gael TD also discussed the ongoing row over the introduction of new Dublin bus lanes which will see homeowners compensated for their land being targeted by compulsory purchase orders. He also addressed on-going speculation over when Taoiseach Leo Varadkar will call the next election. Mr Farrell said he would be willing to go to the polls during the summer but suggested it is more likely the election will be held later this year.